The popular X5C gets his second upgrade. This time, the engineers from Syma added headless mode to this model of quadcopter. Compared to the older model, the X5SC will be also available in black finish not just white and gets some high landing skids. 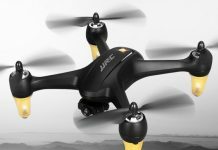 The Syma X5SC Falcon is using the same 2MP camera instead of a new generation 5MP full HD camera. 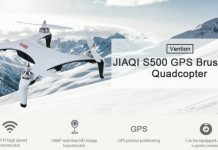 The first model with camera of the X5 series is the X5C quad, who earns very good popularity because its professional design, flight characteristics and affordable price. In my opinion Syma succeeded earn the best quadcopter of the 2014 title with this model. 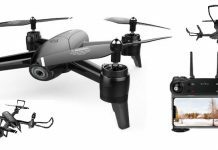 X5SC Falcon quad is generally designed for the novice pilots with limited budget but it is also fun to fly and take aerial videos for advanced pilots as well. 2.4Ghz with anti-interference technology. Even if more than one quad-copters are flying at the same time, they will not interfere with each other. X5SC size: 31.5 x 31.5 x 10.5 cm. The X5C finally gets headless mode, I’m curious about the new flight range.